Another Great Designs in Steel (GDIS) seminar is in the books! Steelmakers, automakers, suppliers, engineering firms and more came together on May 16 for the Steel Market Development Institute’s (SMDI) annual conference in Livonia, Michigan. The symposium allows the steel and automotive industries the opportunity to present their research and network. With hot-button topics such as lightweighting and life cycle assessment slated for discussion, it’s no surprise the 17th annual event set a new record for registrations. Twenty-five percent of more than 1,700 registrants were there for the first time – and there’s a good chance they’ll be back! Held at the Laurel Manor Conference Center since its inception in 2002, GDIS provides a platform for steelmakers and automakers alike to showcase technical presentations on new steel technologies. These include advanced high-strength steel (AHSS), lightweighting, automotive safety and manufacturing technologies for today’s vehicles. Attendees always leave with a greater understanding of where the industry is headed. This year was no different, as automakers (FCA US LLC, General Motors Company and Honda) graced the stage with SMDI members and a host of other organizations in the steel and automotive industries. 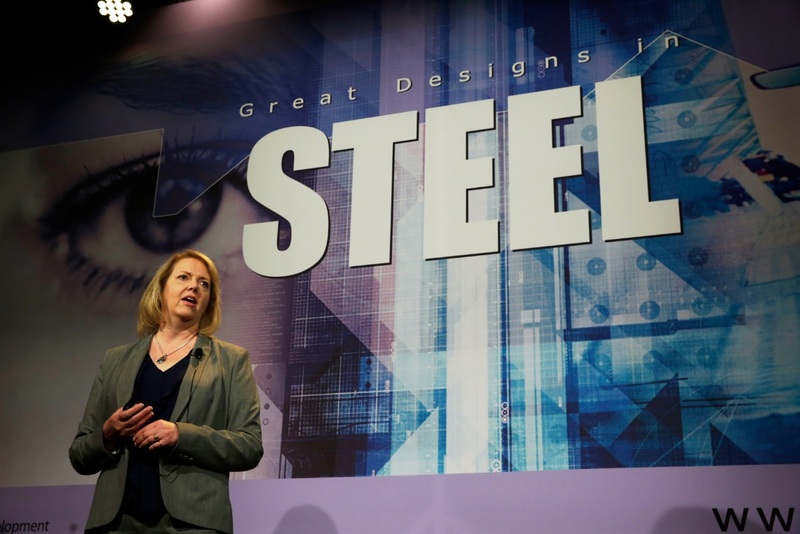 This year’s event began with a host of steel dignitaries sharing important information. 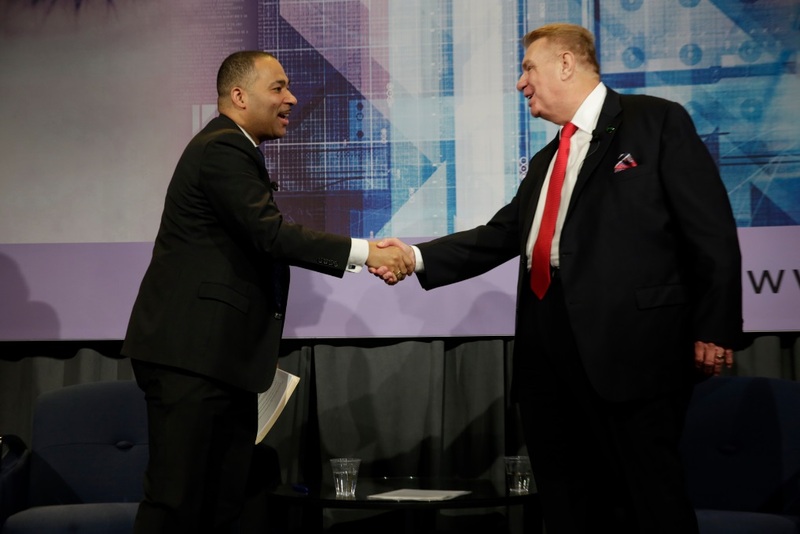 Nucor Chairman, CEO and President John Ferriola held a fireside chat with local Detroit TV personality Andrew Humphrey about the state of the modern steel industry. SMDI Senior Director Dave Anderson presented Nic Goldsberry of Honda with the 2018 Automotive Excellence Award. SMDI Vice President Jody Hall then keynoted the conference by unveiling a comprehensive study comparing the life cycle assessments of vehicles lightweighted with both AHSS and aluminum. The presentation, showing AHSS’ clear advantage, laid the foundation for a day filled with in-depth demonstrations of steel’s superior performance, value and sustainability as well as its latest technical advancements. Steel’s status as the best lightweighting material available to the automotive industry was validated by the vehicle-specific presentations given by engineers from automotive manufacturers. General Motors showcased its AHSS technologies in the 2019 Chevrolet Silverado, while rival FCA US LLC teamed up with Gestamp to demonstrate the 2019 Ram 1500’s innovative high-strength steel door ring. Honda’s Acura division presented two vehicles, showing off its door ring design in the 2019 Acura RDX and a new technique used to create the NSX supercar’s A-pillar. When all was said and done, more than 30 presenters helped drive the steel and automotive industries forward in their own way. Beyond the stage, two different areas gave various organizations the ability to share important information about their products and teams. 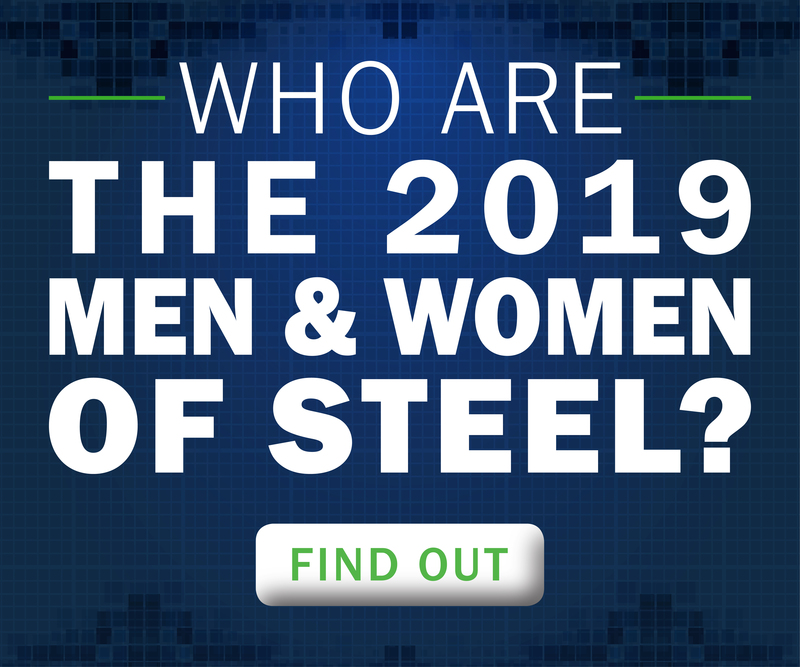 The Steel Showcase served as a display of the research and collaboration happening among SMDI members – AK Steel Corporation, Algoma, ArcelorMittal and Nucor Corporation – and other players in the steel industry. 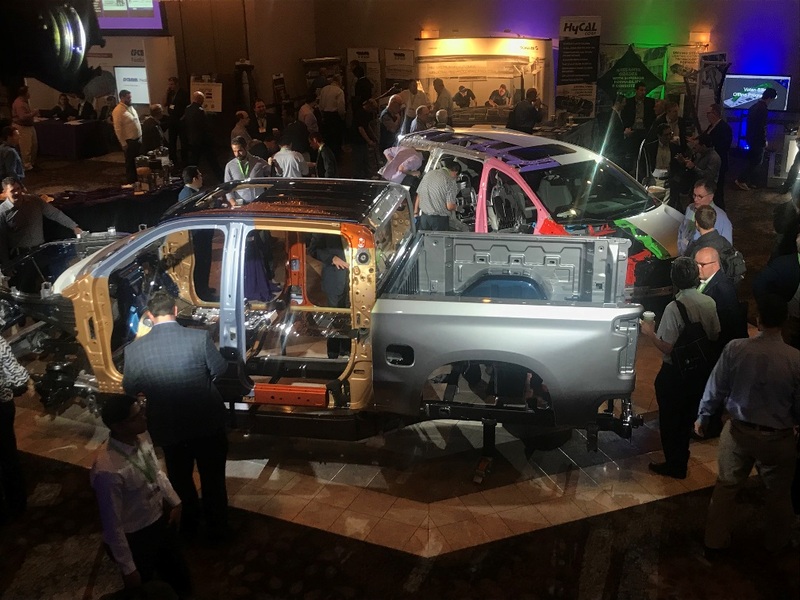 The Exhibit Hall allowed automakers and suppliers alike to showcase the best of what they have to offer, including the body-in-white displays of the Honda Odyssey, BMW 3-Series and Chevrolet Silverado. 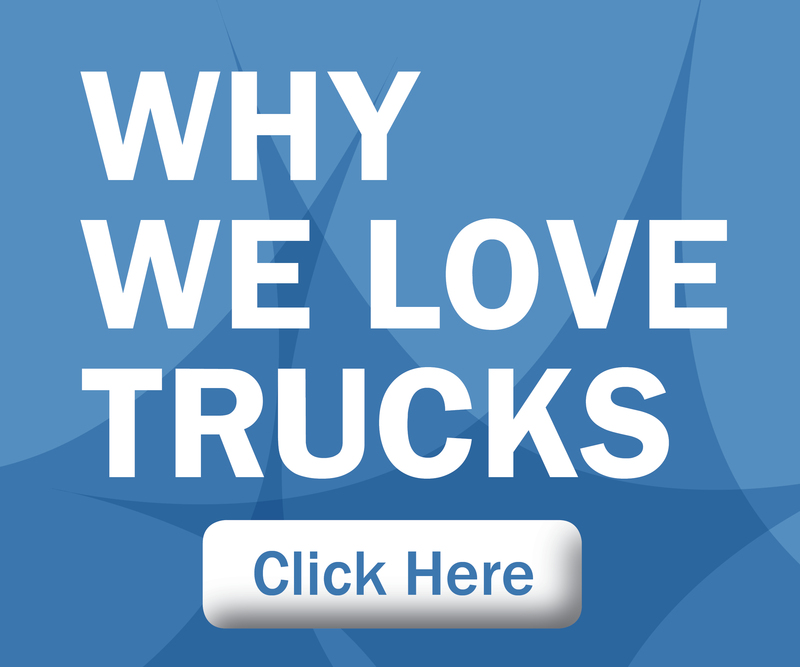 The event made a lasting mark on the automotive industry. We can’t wait to see what kind of innovation comes out of the event! What design innovations are you most looking forward to in future vehicles? Comment below. This entry was posted in GDIS and tagged Andrew Humphrey, BMW 3-Series, Chevrolet Silverado, GDIS, GDIS 2018, Great Designs in Steel 2018, Honda Odyssey, Jody Hall, John Ferriola, Nucor Corporation. Bookmark the permalink.